I know not everyone likes guns but teaching your kids gun safety and practicing target shooting is great fun fir most kids and an invaluable skill during a time when food may be scarce. I know not everyone likes guns but teaching your kids gun safety and practicing target shooting is an invaluable skill during a time when food may be scarce. A .22 rifle is a popular choice. 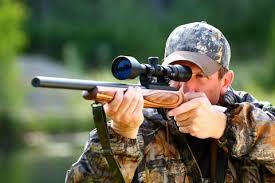 Air rifles can be very powerful and are often a bit quieter than a .22, and make a great choice for small game too. Either way, you’ll want a rifle with a good scope, and you can use a silencer on a .22 to reduce the noise level. Rabbits are plentiful in most parts of New Zealand. They can be hunted at anytime of the year and make great eating. The best time to hunt rabbits is in the late afternoon or evening, but they can often be found anytime of the day or night. Hunting them at night with a spotlight is another good option. When hunting rabbits, a .22 rifle isthe best choice. 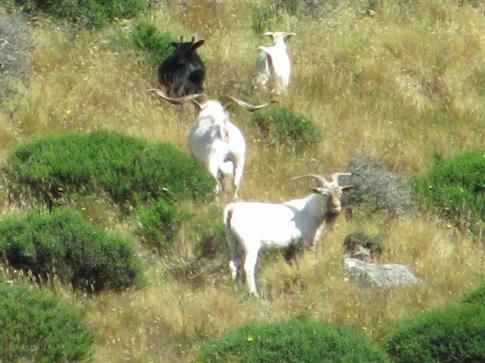 However they can also be taken with a bow but you need to be fairly proficient with it..
Goats are widely spread throughout the county and live in a range of different environments. They can often be spotted on sunny slopes in bush clearings, tussock hillsides, farmland on the edge of bush and rocky areas. Goat are most often found in a mob, and are easily spotted and stalked due to their smell and their bleating. Bow hunters especially like hunting goats as they can get within range to safely and humainly make the kill. They can be shot wit a .22 rifle but a .22 magnum or 223 is preferable. Young goats and small nanny's can be great eating. They also make great dog food. 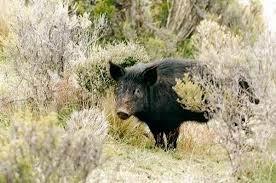 In New Zealand feral pigs are found in the North and South Islands. Mainly active in daylight although where subjected to hunting pressure may become more nocturnal or restrict their activity to early morning and late afternoon. Feral pigs are omnivorous, eating a wide variety of food including grasses, roots, seeds and other plant material as well as carrion, earthworms and insects. Boars especially have thick skin with gristly shoulder shields up to 90 mm thick. Rifle calibres should have maximum hitting power with .270 and above recommended. Red deer are the most widespread deer species in New Zealand with wild populations established throughout most of the forested and tussock country from the Kaimai Range in the north to Stewart Island in the south. Areas that have few or no red deer are Northland, much of Taranaki, Coromandel and Banks Peninsula. 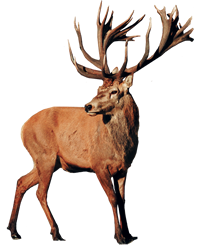 Red deer are medium sized animals of about 180 kg in weight. While calibres as small as .222 have been successfully used on red deer the recommended calibre is a minimum of .243. Feeding activity tends to be greatest in early morning and late afternoon. Plan your hunt to be at likely areas early morning and late afternoon. Hunt into the wind as quietly as possible and take advantage of available cover. In windy weather, deer will seek sheltered areas and will keep to shelter in heavy rain, whilst during light drizzle overcast weather feeding can occur all hours of the day. 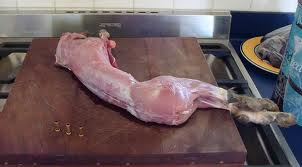 1 - Cut the a ring around each leg of the rabbit, just above the leg joint. Only cut enough to get past the hide. Do not cut deeply into the skin of the rabbit; it is unnecessary and inefficient. 2 - On each leg, make a single slice going up from the ring cut to the backside of the animal. This will make the skinning easier in the end. 3 - Start pulling away some of the hide, working from the ring cut at the foot joint down to the backside or genitalia of the rabbit. The hide should come off relatively easily. 4 - Cut your way through the bone of the tail, making sure not to sever or puncture the bladder. The tailbone juts out and is relatively easy to locate. 5 - With both hands, start pulling the hide from the body. The hide will slip off very easily at this point. It should be like peeling a banana. 6 - Work your fingers into the sleeve of the hide where the arms are, removing the arms from the hide. 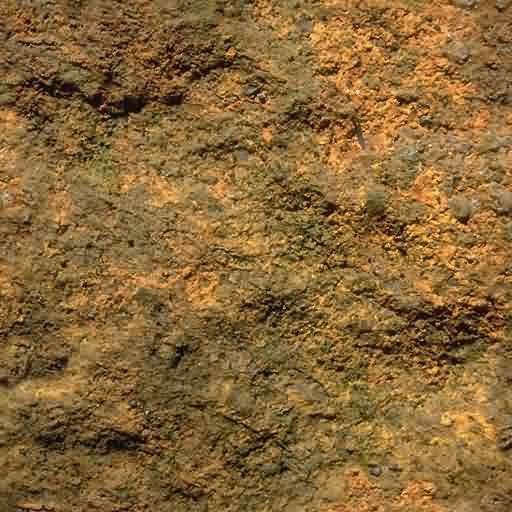 This may be a little tricky at first, so don't be disappointed if it takes a little extra elbow grease. 7 - Work the hide down from the upper torso to the head. Pull the hide down until it rests at the base of the skull. 8 - Sever the head from the spine. With it, the skin should entirely detach from the remaining meat. 9 - With your hands, break the bones at the arm and leg joints. Then, at the joints, sever the skin from the bone using your knife. 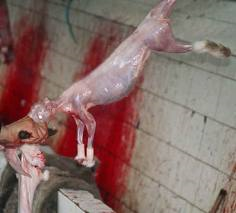 10 - Dress and clean the animal, saving the hide as needed. Make sure the animal is clean before you eat it. If possible, check its liver to gauge the safety of the meat. Save the hide for tanning or other uses.